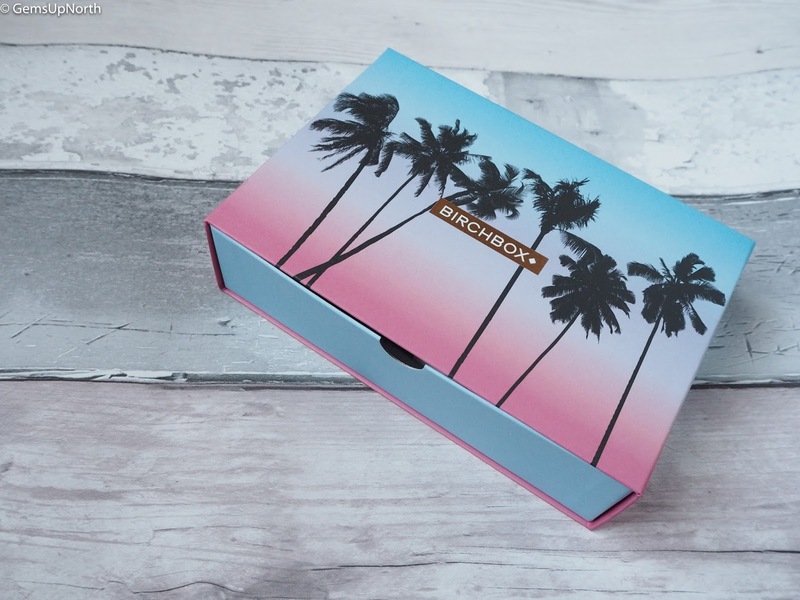 Birchbox has all the summer feels to it this month with the palm tree print on the drawer box. 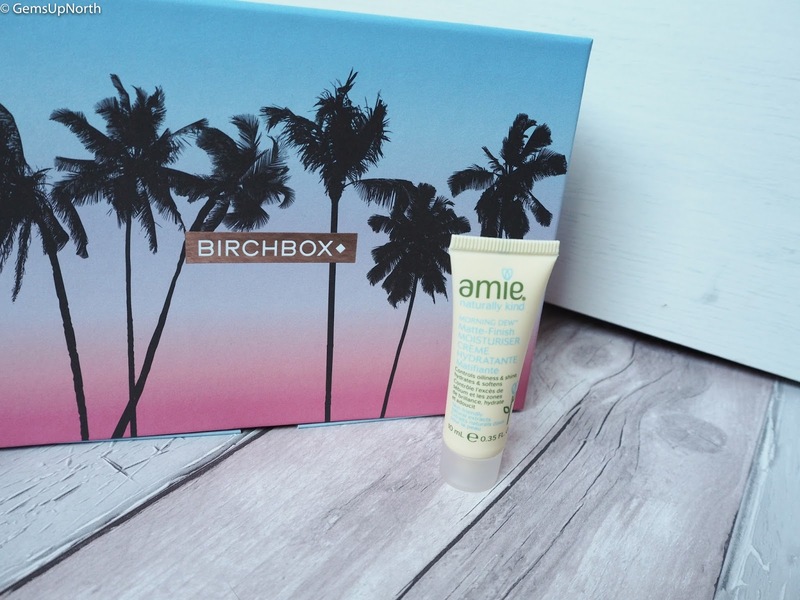 A couple of months ago Birchbox let us vote for the box design for July, I voted for this palm tree design because it did fit the Summer feel better than the others in my opinion. So I'm super happy to have it in my Birchbox drawer stack now. Now you've probably noticed I haven't reviewed my boxes over the last couple of months well there's a reason behind that. Hermes have been delivering my boxes, well supposedly delivering them, I had trouble in May getting my box; it was super late because of Hermes and in June my box didn't arrive at all. 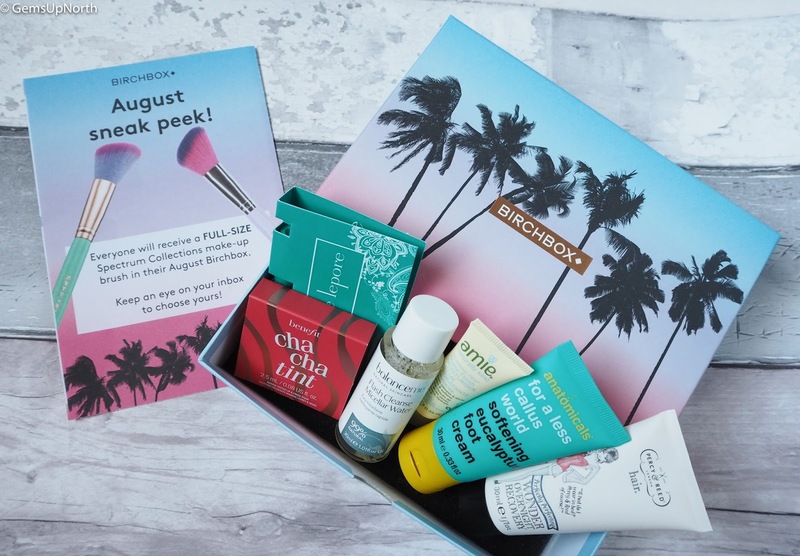 Birchbox got straight onto the case and re-sent my June box via Royal Mail and have set it on my account that all my future boxes come with Royal Mail too so my July box arrived on time and I've been able to sample all the products before the end of the month and write up my thoughts. 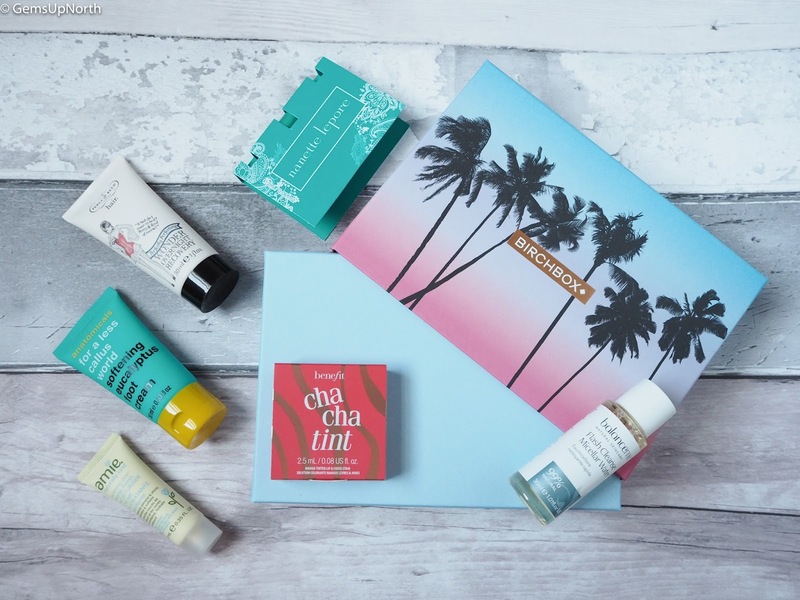 Inside the summer themed box this month was 6 items including a Benefit treat for everyone. I think my box had too much skin/hair care for me as I would of liked more makeup products but I was happy with the new products I was able to try this month. 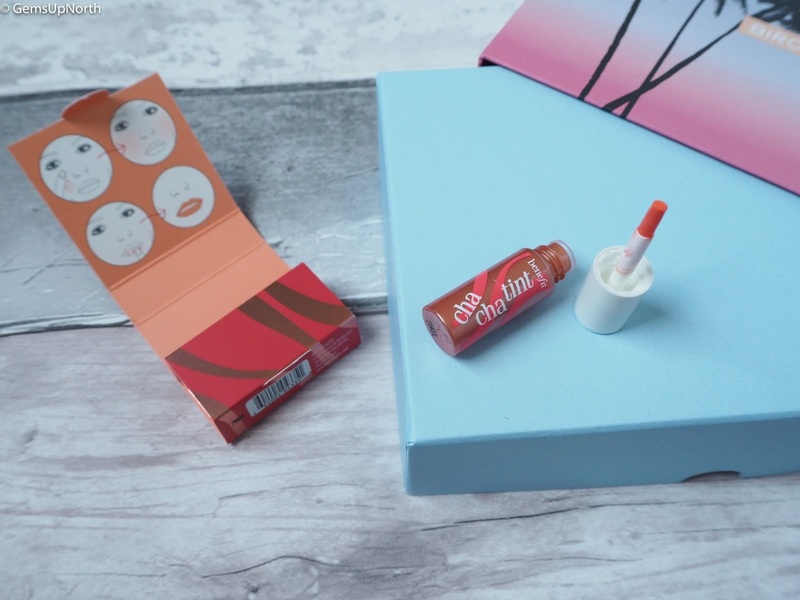 I'm always a fan of Benefit Cosmetics and its great when Birchbox feature them in their boxes, since signing up to Birchbox over 18 months ago I've had 5 Benefit samples. This Chachatint is a lip and cheek stain, it has a brush applicator and is super easy to put on. I prefer using this product on my cheeks as it leaves me with a nice warm coral shade as a blush. When I applied the tint to my lips it wasn't very noticeable, it did leave a very very stable tint but I prefer more of a pop of colour so will continue to use this as a blush. The longevity of the product is wonderful though, I didn't need to reapply throughout the day and my cheeks had a healthy glow all day long. I love micellar waters and I regularly use them to remove my makeup for the simple reason that they work, they remove all my makeup easily with little rubbing especially on my eyes. 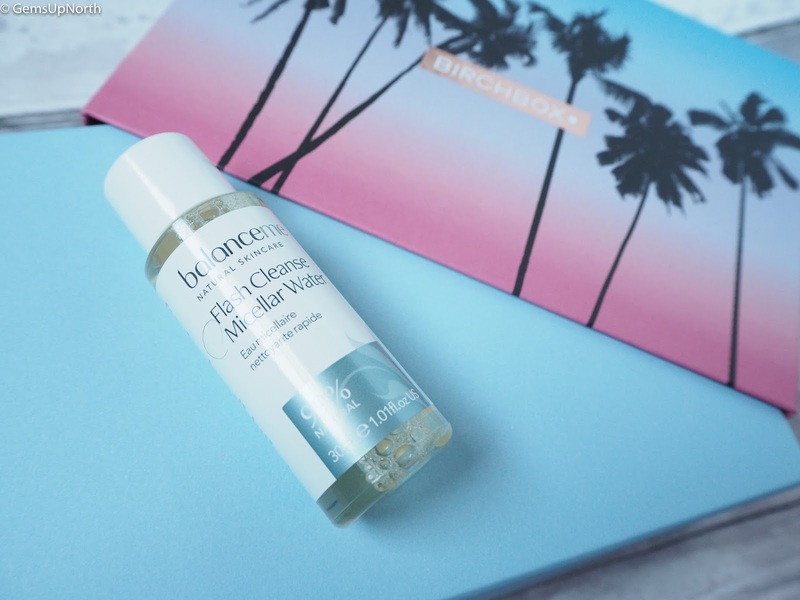 This Balance Me Flash Cleanse is the perfect size to take away with you and only a small amount is needed so it could do for a couple of short trips away. The micellar water is 99% natural and doesn't irritate my eyes or skin, with chamomile to sooth the skin and neroli to regenerate this water does way more than just remove your makeup. I would definitely buy a full size bottle once I've used up this travel sized one; the full size also has a pump lid on it. I spend a lot of time on my feet and work long hours on them so I need to look after my feet and relax them whenever I can. 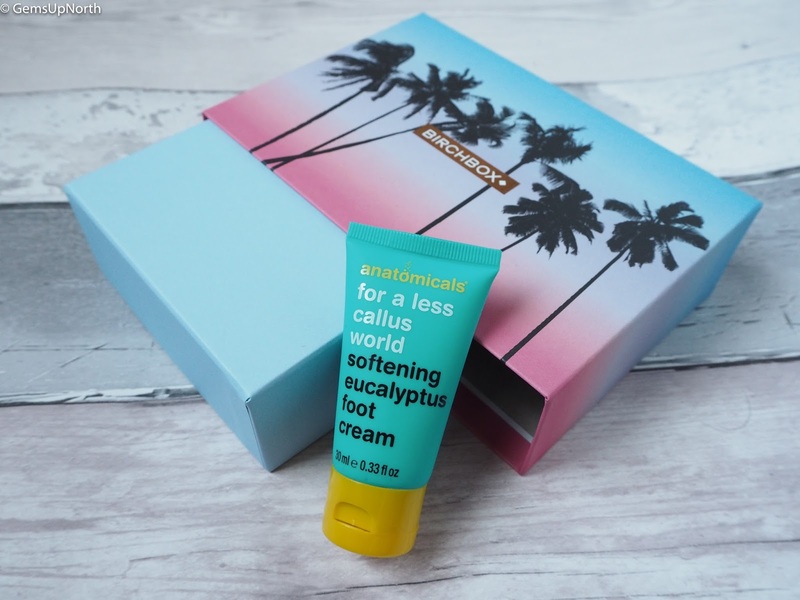 This Anatomicals foot cream smells lovely and has a thin consistency so soon soaks into my feet; I'm able to go about my day quickly after applying this cream. I've been using this cream since I got my box and I have seen some difference in my feet, they feel and look less dry so I will be grabbing another tube of this soon. This isn't the first time I've used an Anatomicals product, I particularly like their face masks and like they have simple and fun packaging which great ingredients. First off I love the natural smell of this moisturiser and feel that its a good match for my skin type. This Amie Morning Dew Matte Finish Moisturiser is great for oily skin types, now my skin isn't oily all over but can be on my t-zone so I've been using this product mainly in that area. The cream is thin so blends into my skin nicely and leaves a smooth finish that isn't shiny. The moisturiser helps to hydrate and clarify the skin and remove any excess sebum so leaves you with clearer skin. At a bargain price of £4.95 for a 100ml tube I would highly recommend this product. 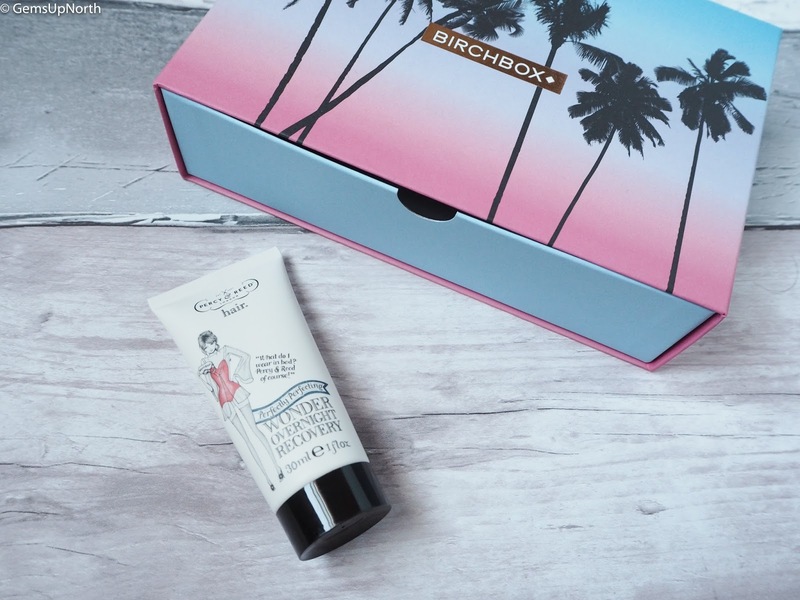 I've tried this product before as I've received it in another beauty box previously and although I've never gone ahead to purchase a full size I do like the product. This treatment works whilst you sleep, the product is applied to dry hair, left on all night then shampooed out in the morning. It has worked well on my tired and dry hair giving it a boost and hydrating it throughout the night. Percy & Reed are a well know brand to me and I really like their other products but my favourite part of the brand is the packaging, I love the fashionable illustrations on the products. This travel sized tube is no different and has an illustration and quote on the front giving it that glam feel. I received a extra 6th treat this month in the form of this Nanette Lepore parfum, not a brand I've heard off before or seen before. I do like receiving perfume samples from beauty boxes or in goodie bags, the size is perfect for popping in my bag and I always have perfume on me then. This perfume has a floral but fruity scent with rose and peach tones that mix well with the cranberry and amber ingredients to create a strong but pleasant smell. I would happily wear this perfume during the day or night time and would be confident it would last with no top ups. Like I've said above the box range could of been better for me with more makeup items but this happens from time to time. Next months box is already shaping up to be a good one with the sneak peek showing a Spectrum Collections brush that we can choose the colour we receive. This choice has already been emailed to Birchbox VIPs and I've gone with the bomb shell brush. 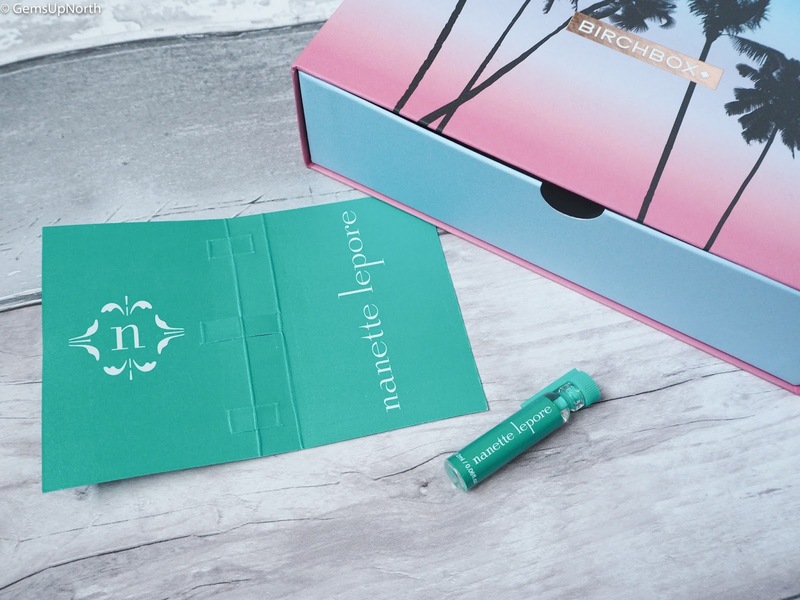 If you want to sign up to Birchbox and receive a Spectrum brush next month then use my referral link here and get your first box for £5.00!